Built from the ground up by engineers who've worked with the world's leading organizations in critical hiring roles. Define clear repeatable sourcing metrics and grade candidates for consistent outreach and communication in your team. No more confusion between your HR and Hiring Managers. 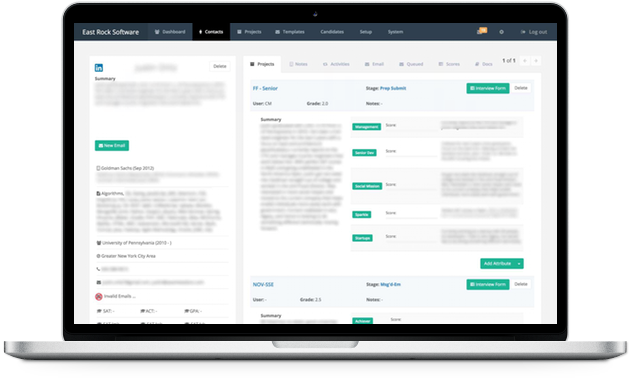 Generate reports for your clients, managers and team. Leverage analytics to solve bottlenecks in your pipeline. Motte automatically digests and associates emails with candidate records (no need to 'bcc' the system). Email directly from candidate records using your existing email system. Don't be tied to one sourcing provider's database. 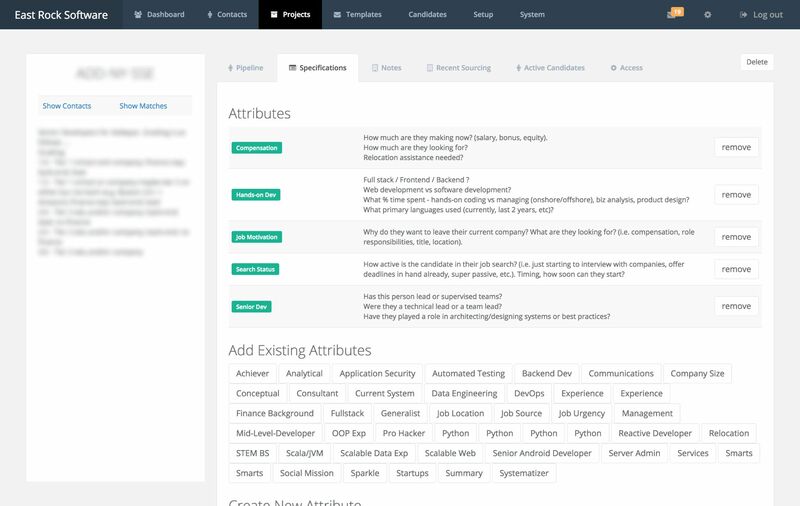 Keep the team on the same page with a centralized repository of all your recruitment interactions. Motte is a full research and sourcing solution, hosted in the cloud so there's no software to install. Quick access to the most important projects and candidates. 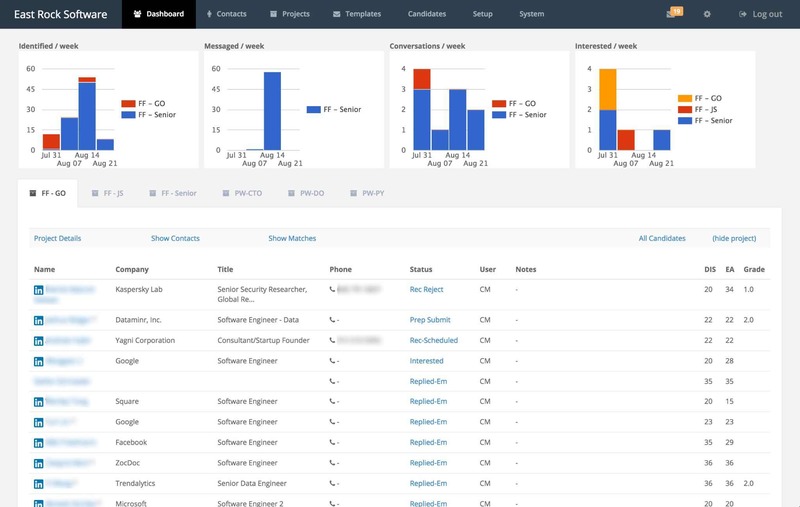 Candidates are automatically listed on the dashboard based off their status in the pipeline. Fast update of records with edit in-place features. One-click-reporting keeps your team focussed on the hiring outcomes that matter. Specifying the attributes of a role is critical in defining who will be successful in the position. Attributes can be quickly added and reused so that sourcers, recruiters, and clients calibrate around relevant hiring factors systematically and consistently. In the interview process, attributes prompt interviewers with relevant questions and topics to better evalute candidates. The candidate record centralizes and enables quick access and update of all the candidate's details, status, associated roles and email communication. The recruiter and team are always fully updated and can immediately review and send communications directly from the system without getting distracted. Ease of use is the key to capturing repeatable, systematic sourcing and interview evaluations from your team. The interview worksheet makes entering information a breeze by ensuring that interviews are easy to complete and systematic in their evaluation. Motte integrates many of the features found in multiple system. Research shows that many busy candidates require multiple emails to elicit a response. 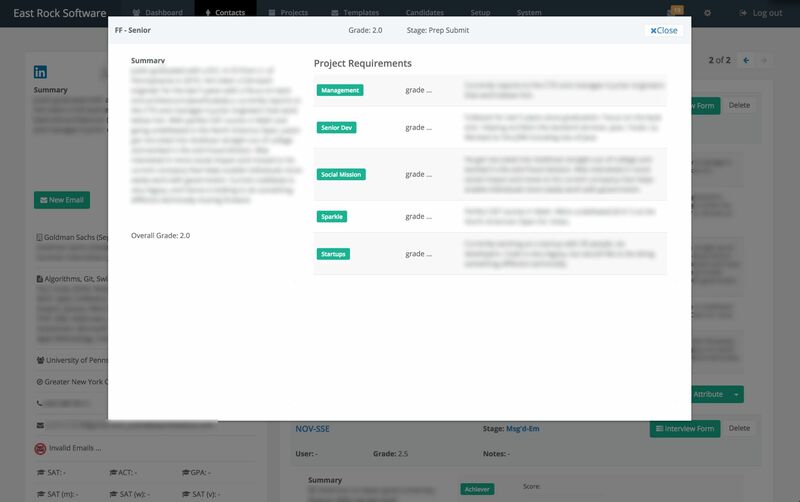 With smart templates, this process automatically streams a sequence of outbound communications to build authentic prompting and interactions with the candidate. Each companies pipeline is unique. Motte acheives the perfect balance of usability with its highly configurable multi-step process. Heirachical stages enable teams to get both the benefits of simplicity and flexibility. Automate and build relationships at scale. Built from the ground up for recruiters, seemless integration with email creates a powerful workflow. 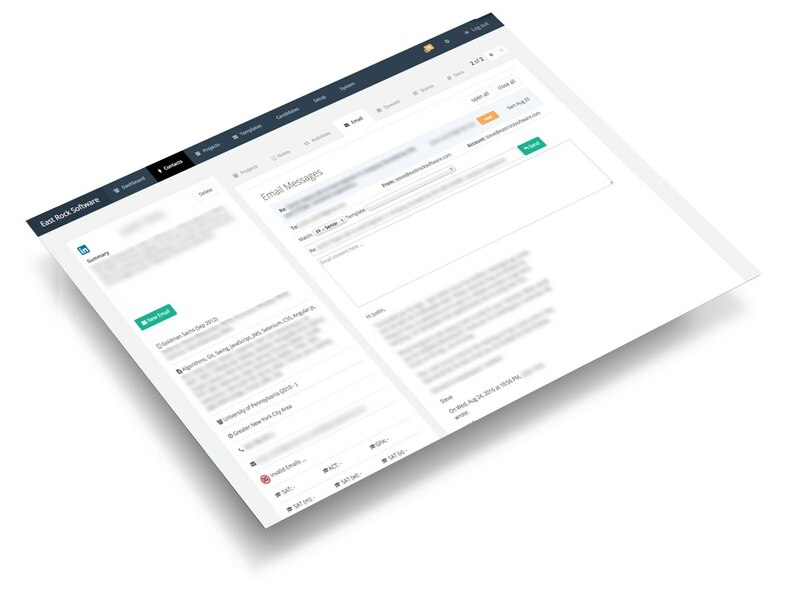 Motte includes a custom Chrome extension that enables sourcers and recruiters to capture key information about candidates when researching common sourcing websites. "Built by a PhD programmer who understands how to be effective enabling small niche recruiting teams. Great customer service." 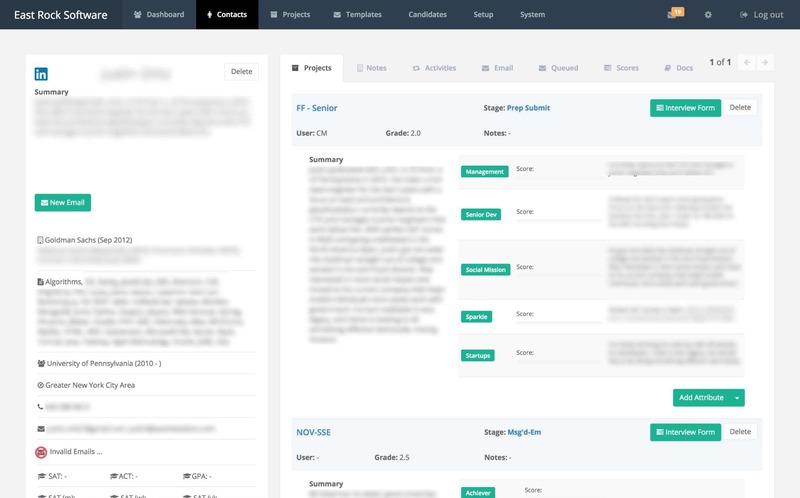 "We've tried hard to use big systems and custom implemenations, but no other system matches the ease of use in tracking all our candidate interactions. Couldn't be happier." "Sourcing the candidates is made easy with Motte. With clear role specifications I can quickly add new candidates as well as research past candidates for roles." Built by the East Rock Software team, headed by Steve Robinson, PhD, you'll be leveraging cutting edge technology ahead of your competition. With a background leading multiple enterprise software projects, recruitment engagements, and knowledge of the challenges of hiring great teams, you're in great hands.